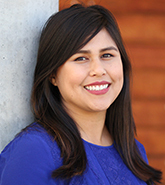 Alicia Flores is a program coordinator for the Labor Center’s leadership development and labor education programs. Alicia manages the Labor Summer Internship Program, and organizes student and community engagement programs with a focus on student leadership development. She coordinates for-credit labor related internships at UC Berkeley through field studies courses, cultivates partnerships with student and labor groups, and develops organizing and labor education workshops for students and community members during the academic year. Alicia is also the co-chair of the United Association for Labor Education’s (UALE) Young Worker and Activist working group, which aims to support young workers and educators in the field of labor education. She holds a bachelor's degree in sociology with an emphasis in social services and a minor in women and gender studies from UC Davis. Alicia began her experience working with students, popular education, and workshop facilitation in high school and college, through several peer education programs focused on domestic violence and reproductive rights. She has also worked at the Women’s Resources and Research Center at UC Davis developing programs on intersectional identities, gender equity, and workshop facilitation skills. She is an alumna of the 2013 Labor Summer cohort, where she interned with SEIU Local 1000 in Sacramento. She is now an active member in her union, Teamsters Local 2010. Alicia grew up in the Bay Area and enjoys exploring the outdoors, cooking spicy food, and cat videos.